The Andorra is a simple yet elegant design featuring curvaceous cane poles combined with popular smooth planed arms. Finished in natural wash it coordinates perfectly with the cleanly designed Heathfield accessories. 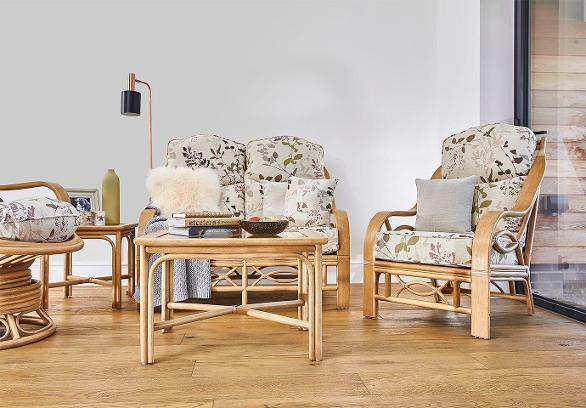 With generous high back cushions, this range provides maximum comfort.It looks equally good in any pattern or plain fabric of your choosing.